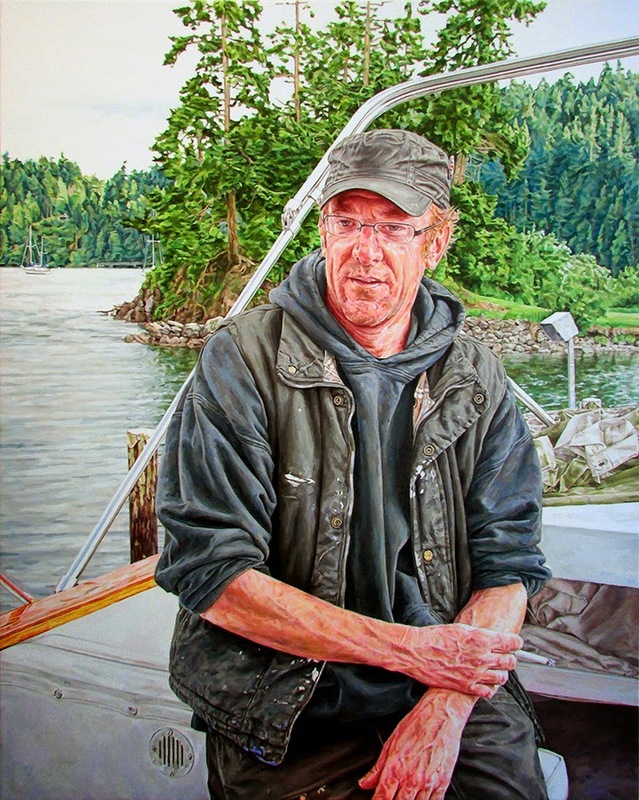 A portrait of Pender Island's infamous (and much loved) Bruce Butcher. Bruce is a "local character", as anyone who has attended any of his poetry performances will attest. He is a fixture of Browning Harbour, living on his converted fishing boat the 'New Rosa', where he floats about enjoying the local wildlife. This painting took far too long to complete, partly due to being shelved half-way through for over a year, and to some extent as a result of the massed ranks of conifers. Sadly the photo is a bit poor, there was a thunderous down-pour outside that altered the light... somewhat appropriate given the theme.